It can be difficult to stand out as a small business. With so many other businesses vying for attention, it’s important to make a good impression and look professional, especially if you’re scaling from being a solopreneur to taking on your first employees. So, how can you set yourself apart? There are plenty of ways you can stand out from the crowd, but a great starting point is focusing your efforts on building a professional image for your business. An easy way to get started is to make sure you have a branded email address where your clients or customers can reach you. A “branded email address” is just an email address that ends with @yourcompany, rather than a basic, free email address, like yourname@gmail.com. Is it time to get a branded email address? But, the real question is: When should you get one? 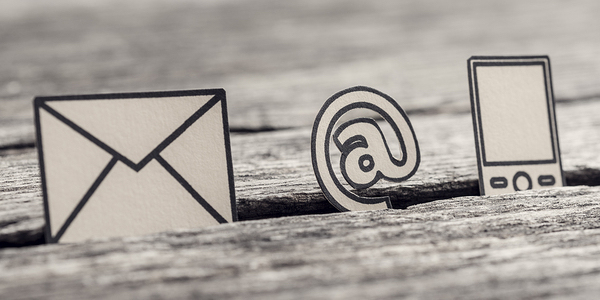 Do you actually need a business email address? Or, will your regular Gmail account work just fine? Really, you don’t need a business email address. In many cases, you can run your business effectively without one. But, it might not be the best choice for your business—it might not give off the right impression, and may make it hard to grow. Here are three questions to ask yourself that will help you decide. 1. Do you want to look more professional? The main reason many small business owners switch to a branded email address? It looks more professional. Think about it: Let’s say you’re hiring someone to landscape your yard. You have two candidates on your shortlist. Landscape Architect #1 has johndoe@landscapingcompany.com listed as his email address. Landscape Architect #2’s email is tomsmith@gmail.com. Who do you choose, assuming they have similar years of experience, both have good portfolios, and so on? You’ll probably pick Landscape Architect #1. Why? His email just looks more professional. He’s taken the time to set up an address specifically for his business. It gives the impression that he takes it more seriously, whereas Landscape Architect #2 might not really be a seasoned expert. And who knows—Landscaper #2 might truly be the better landscape artist. But with a less professional-looking email address, they’ll probably get fewer clients, simply because of the fact that his email doesn’t look as professional. 2. Are you planning to add people to your team? Another reason to think about getting a business email address? Business growth. If you plan to grow your business, you will probably bring on more people. This means that you might want them to have their own email addresses, or the ability to log into a shared email inbox (more on that in a minute). Setting up a branded email address early gives you more options as your business continues to grow. You aren’t stuck with tying everything to your (or your staff’s) personal email. Not only that, but setting up a business email address is the first step to separating yourself from your business. To continue with our landscape architecture example, if Tom Smith builds his entire business around his name, it will be confusing if he decides to bring on another employee. Plus, you’d probably rather that your clients communicate with your business, rather than with your employees. If your employee ever leaves, you want your clients to stay with you, not go with your employee, even if they have been the primary point of contact. But, if John Doe decides to hire, easy—his new employee gets an email address associated with the company name. No need to go to the trouble of separating himself from his company as the business grows. 3. What about multiple business email addresses? So, you know that a branded email address helps you go from yourname@gmail.com to yourname@yourcompany.com, and why this matters. And, you’re prepared for why a dedicated business email address will help if you hire another employee so that they can have their own name@yourcompany.com email address as well. But, this isn’t the only thing to consider. What about bigger shifts in the way you run your company? What about growth that goes beyond adding one or two additional staff members? Having a branded email address opens up the option of having multiple business email addresses—which matters for growth. Say that someday in the future you plan to have a dedicated sales department. They will need an email address like mowmylawn@yourcompany.com, where new, prospective clients can reach out to them. Or, maybe the hire you plan to make will be a dedicated customer service person. You might want them to have both their name@yourcompany.com email address, as well as be in charge of an inbox where customers can send inquiries, like customerservice@yourcompany.com or info@yourcompany.com. This would all get very complicated to manage with individual private Gmail accounts. Plus, going back to how your business appears to your customers or clients, yourcompanycustomerservice@gmail.com is not only a little unprofessional looking, but also kind of a pain to type out. Now, full disclosure: We’re a big fan of shared inboxes like sales@yourcompany.com, and we actually created Outpost to make it easier for growing teams to manage inboxes like this. But before you can put a system in place to manage multiple inboxes and make that process easier, you’ll need to set up branded email addresses for the different areas of your business. Having multiple inboxes also makes it easier to manage customer communication as your team (and business) grows. For example: If you only have personal emails, what happens when one of your employees goes on vacation? Managing that person’s communication turns into a huge ordeal. However, if you use a shared inbox tool like Outpost, you can see what has been taken care of in real time, assign emails to a member of your team who isn’t on vacation, leave notes for your employee to address when they get back, and generally keep a better eye on who is taking care of what so that nothing slips through the cracks. At the end of the day, it’s easy to think of email as a given—a basic, standard part of your toolkit for running a business. But depending on how you use it, email can make running your business easier and better, or it can make it more challenging and harder to appear professional. Having a branded email address (or multiple) not only makes your business appear more professional, it will give you room to grow, and life easier when it comes to organizing information and communicating with customers.